DISCLOSURE: I received product in exchange for a blog post. All opinions are my own. When you walk into my home, there is no doubt that it's filled with kids. From the play kitchen in the middle of the real kitchen, to the lovingly created masterpieces hanging on the walls, to the photographs of my children in every single room, there are signs of my kids everywhere! I sometimes dream of the impeccably styled homes that are all over Pinterest, but I know that's just not feasible with four children. Instead, I choose comfort with a touch of fun, modern and whimsical. Kid-friendly is also a must, because I currently live with a Toddler Tornado! I love finding fun pieces that fit in easily with my home decor. I look for items that catch the eye and spark conversation. If I can find something that can stand out in the land of toys and kid gear, then it's a clear winner! The Modern Ball Clock from Regency Shop is a PERFECT fit for my home! 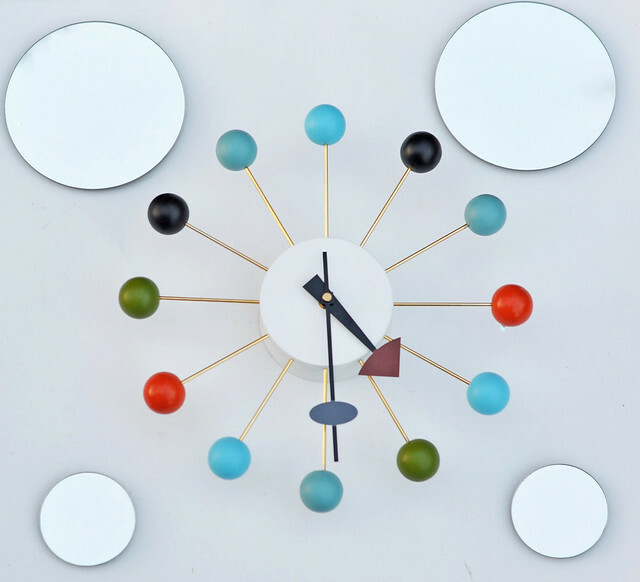 The Modern Ball Clock is a modern timepiece inspired by the Nelson clock design. According to the description on Regency Shop, it "transforms any room into a work of art." Now that it's in my home, I completely agree! I couldn't wait for my new clock to arrive! I checked the tracking number every night and I was relieved to find out that a signature is required upon delivery. I do worry about packages being stolen, especially around the holidays. I knew exactly when the clock was supposed to arrive and the delivery was right on time! 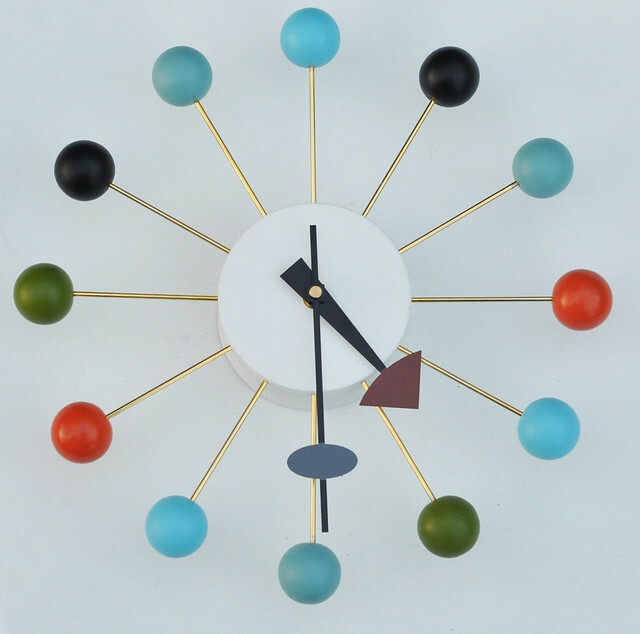 The Modern Ball Clock is a beautiful piece! The brass arms and the colorful Beechwood balls are unlike anything I've ever found in stores. The Quartz movement is designed to last for years and assembly is a breeze! All I had to do was take the clock out of the box and hang it on the wall. 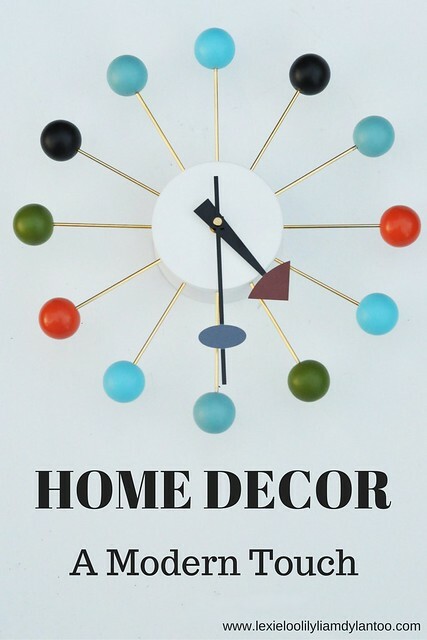 At first, I wasn't sure where I was going to hang the Modern Ball Clock, but the moment I spotted it, I knew it would be perfect for the modern play space/family area I will be creating for my kids after Christmas. When I hung it up on a white wall, I knew it would be perfect for the play space I have been envisioning! 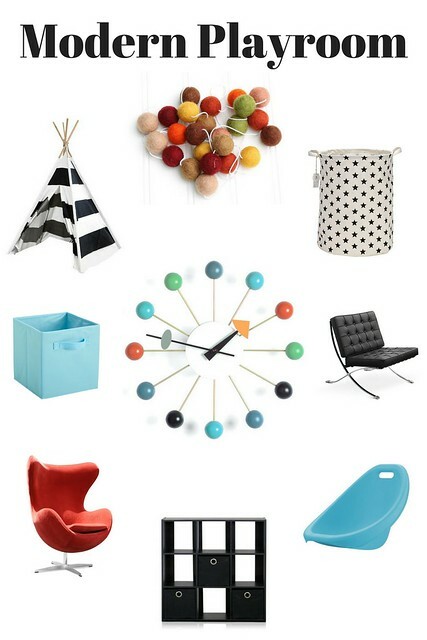 My current plan is for a modern black and white play space with pops of color. I plan on having white walls with colorful pops of art hanging on them (which is why the Modern Ball Clock is perfect), a black and white teepee with lights strung inside, a white faux fur rug, colorful modern chairs and a storage cube with colorful bins for the toys. My kids range in age from 3-12, but I have no doubt that this play space will be a favorite spot for all four of them. I wish I could do it now, but Christmas comes first! 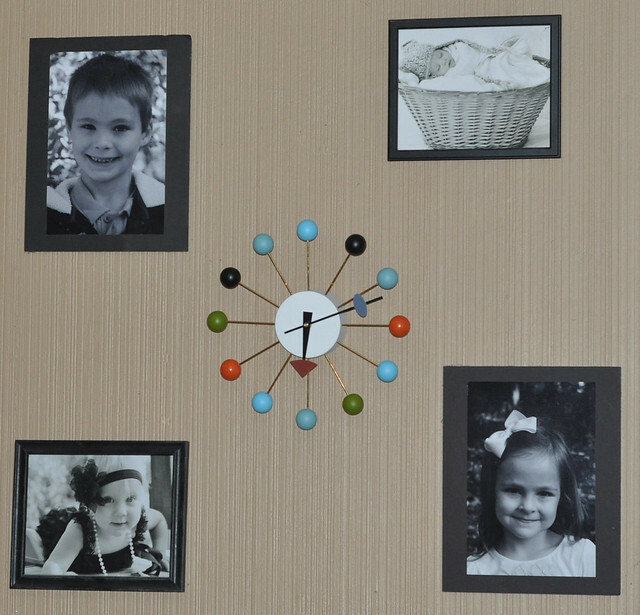 Until the play space is finished, the Modern Ball Clock has a spot in the middle of the gallery wall of black and white photos that I captured. My husband always said it needed some color, and he was right! In addition to the beautiful Modern Ball Clock, Regency Shop offers many other modern pieces! 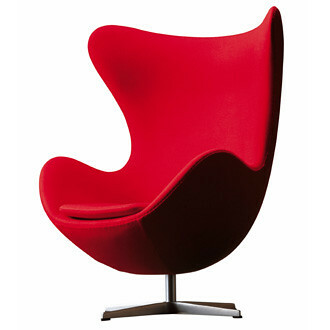 I'm in love with the Egg Chair! It comes in several bright colors, but red immediately captured my attention. It's bold, it's modern and it's kid-friendly! 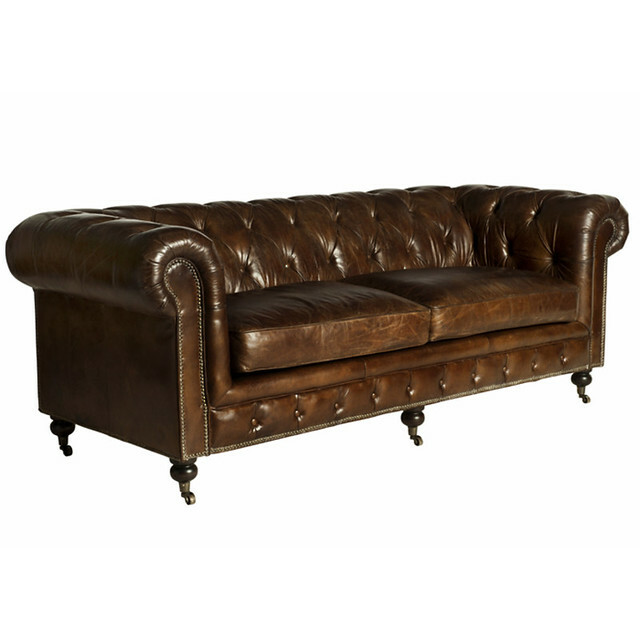 The Chesterfield Sofa would be gorgeous in a family room. It can be purchased in black, white, brown or a custom color. Leather is always a great choice with kids around! 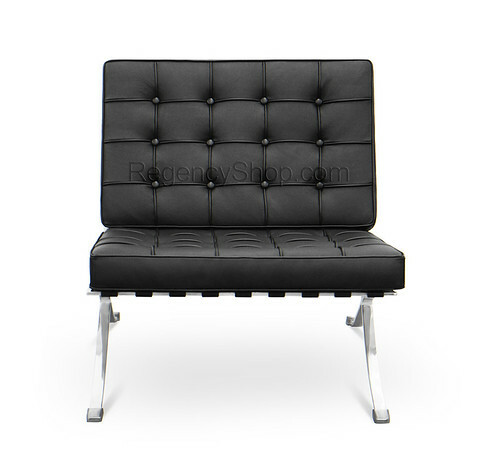 The Barcelona (Ibiza) Chair would work well in any room. Thanks to the sturdy construction, I wouldn't worry about my kids ruining it! 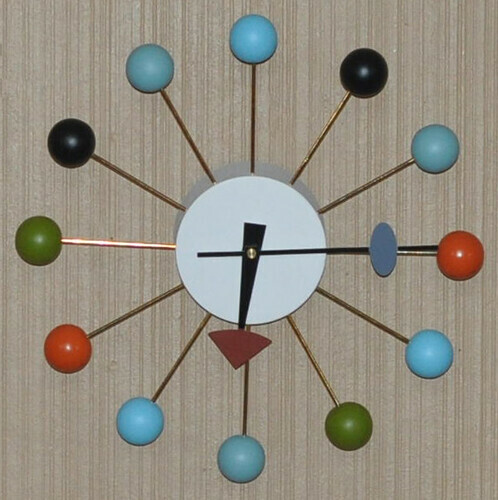 The Modern Ball Clock is a great addition to my home decor. I love seeing it hanging on my gallery wall and I know it will look amazing in our modern play space. It truly is an eye-catching, functional work of art! Thank you to Regency Shop for sponsoring today's post! To see more of their beautiful pieces, visit their website. My mom has that clock and I always tell her that I'm going to steal it. I love it so much! It looks great in your house and I love the photos you have next to it. This is SO cute! It goes perfectly with our playroom decor! I need to add this to my Christmas wishlist! I love that clock, so fun!!! That is a lot of fun and that egg chair. Oh my goodness I would probably never get up :P.